Smooth winter cold engine start with Eurol additives | Eurol B.V.
During the wintertime it can be difficult to start your engine. Eurol offers two additives that help, also when your car feels slow or lazy. 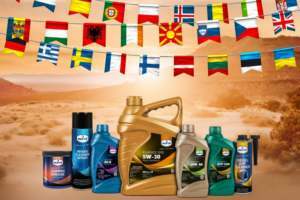 Eurol Diesel Performance Plus for Diesel cars helps to increase the cetane level in the diesel fuel and Eurol Petrol Performance Plus increases the octane level in the petrol fuel. The performance of your car will improve significantly. Watch the video of Tom Coronel to learn more about these products. The environment reigns and manufacturers have to apply the craziest tricks to allow cars to comply with emission standards. This often leads to contamination of the oil, fuel and cooling system and can even result in costly damage to the engine.